If you’re looking to redo your kitchen, I’d be willing to bet you’ve heard of granite. If you haven’t, you may be living under a rock (instead of using it for your kitchen countertop). The use of granite dates back as far as the creation of the ancient egyptian pyramids. The ancient egyptians knew what worked, and so do many of todays homeowners, as granite is one of the most well-liked countertop materials for people buying a new home, or beginning a kitchen renovation project. In case you’re thinking about using granite in yourkitchen remodel, here are some fun facts. There’s a reason why so many people long for granite countertops. 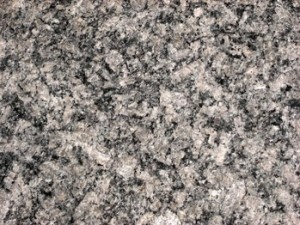 Besides the fact that it is naturally beautiful and unique (although they may look similar, no two pieces are exactly the same), granite is also extremely durable. You can actually place pots and pans directly on the granite and use it as a cutting board (beware – doing so may dull out your knife). Not only can you choose from a multitude of colors and designs, but also may select from many finish options (high gloss, satin, or flat – to name a few). With granite, maintenance is a breeze and your countertops could potentially last a lifetime. Granite is an intrusive rock (meaning it was formed from the cooling and solidification of magma beneath the earth’s surface). The magma cools extremely slowly underground, causing it to crystallize as it hardens. The different colors and depths seen in the rock formations are caused by its various mineral compounds, and the colors vary widely depending on location. In order to aqcuire granite for your kitchen countertop, it is mined in large blocks from quarries all over the world. The varying prices of granite are based on many different factors. Rarity and availability of each particular type of granite influence prices heavily. Labor costs and difficulty of mining can also have an effect. And of course, the cost of shipping will play a part on the overall price-tag as well. Although it is extremely durable, you’ll need to take regular precautions to maintain your granite. Granite countertops need to be sealed (and re-sealed through the years) because of the porous nature. After they’re sealed, granite should be cleaned regularly with mild antibacterial soaps, as many general purpose cleaners can degrade the sealants due to acidity. Granite is a popular countertop material with an incredible creation story. If you’re planning a kitchen remodel, make sure you at least give it fair consideration. With all of the available options, you’re likely to find a slab that is perfect for your home.